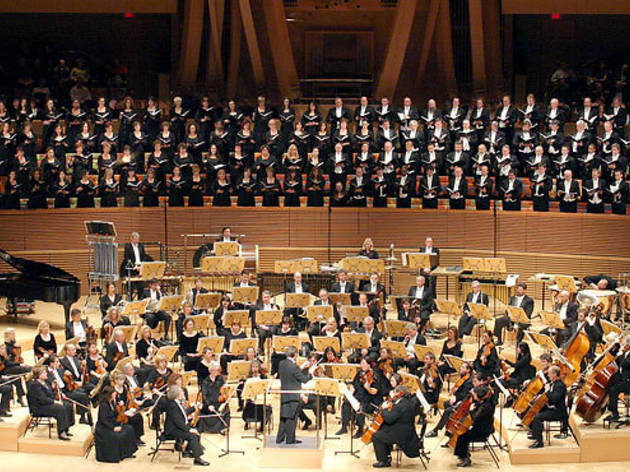 Conductor Grant Gershon and the singers of the Los Angeles Master Chorale invite the Harvard Club to celebrate the holidays at Walt Disney Concert Hall. Sunday, December 18, 2016 @ 7:30 P.M.
36 years later, the Master Chorale Messiah Sing Along is more popular than ever, with full orchestra and talented soloists on stage, under the direction of Master Chorale Artistic Director Grant Gershon. The full Master Chorale will also be on stage to lead an audience of over 2,000 singers in this Holiday classic. Bring your own score or buy one in the lobby and join the chorus. Hallelujah! Special Club group ticket price of $45.00 in the desirable Orchestra West Section of Disney Hall. Registration: Click here to register now. Use promo code 31081 This event is sold out!